This attractive harness provides full frontal and rear torso protection. Our Centurion Armour has a classic Roman Style making this perfect for Roman soldiers and Gladiators. Please include chest measurements when ordering. This item is custom made to order per your measurements given. 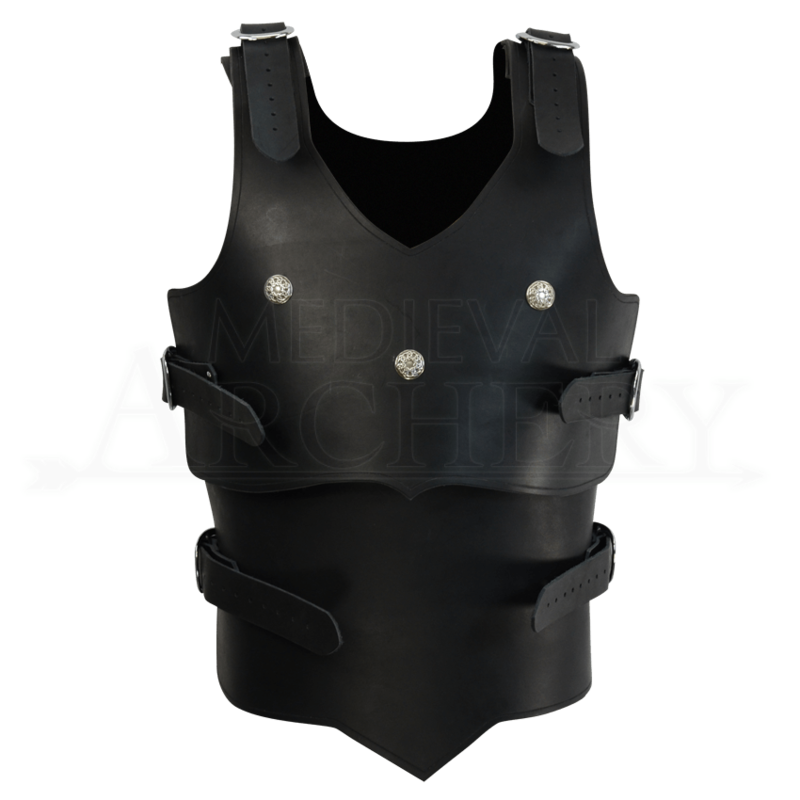 Our Centurion Leather Armour is made from 13/15 ounce leather (1/4 inch thick) which is perfect for use in the SCA. Pauldrons are sold separately. Our Milanese Pauldrons and Mercenary Pauldrons go very nicely with this piece. This armour is custom made to your measurements. *See our return policy for information on custom items.